This summer, I’ve been tasting and gulping a lot of different kinds of teas, thanks in part (or entirely), to this downright adorable little pop my Mum bought me. 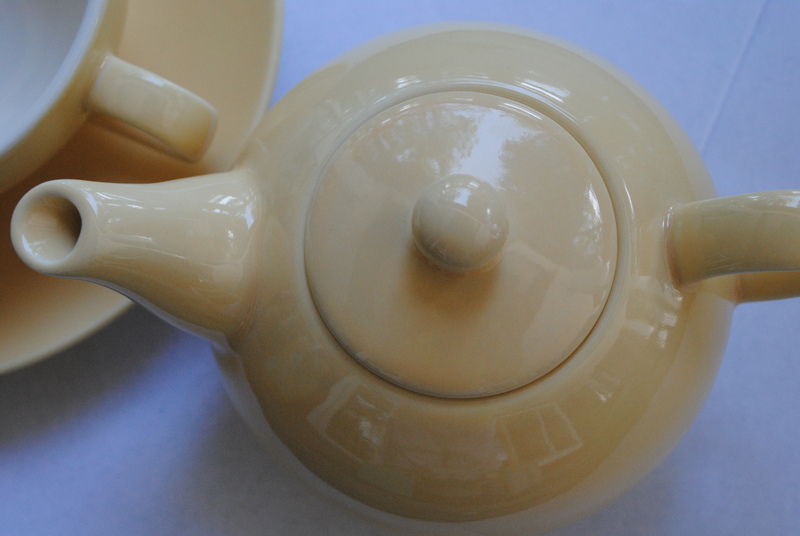 Not only is it mustard yellow, but the teapot sits nicely atop a little tea cup–just perfect for one, and one cup. I adore it. What’s more, there’s this little shop near my Mum’s house that has little kitchening items (where she bought this), as well as teas, spreads, chocolates, dishtowels, coffees, you name–all the good stuff. So, whenever I’m there, I’ve been gobbling up these little tasters from Asiago Teas. It’s just enough that if you don’t quite love it, the tea won’t be around forever or go to waste. Plus, they tell you the exact temperature you should steep at. And the tins could be saved and used for any manner of other cute things.